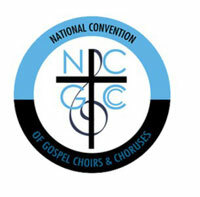 The National Convention of Gospel Choirs and Choruses announces The 84th Annual Session Set For August 5-11 in Baltimore. Dr. Thomas A. Dorsey, the “Father of Gospel Music” and writer of over 400 compositions including “Take My Hand, Precious Lord”, founded the National Convention of Gospel Choirs and Choruses (NCGCC) in 1933 after recognizing a need to organize gospel choirs collectively into unions. It is recorded in history as the first convention of its kind and continues to thrive eight decades later. Under the current leadership of NCGCC President Dr. Marabeth E. Gentry, the internationally known and respected organization announces plans for their 84th annual session August 5-11 in Baltimore, MD. “There is great excitement in the air about the convention and I’m so happy about all of the new programs what we have been working on for artists, ministers and gospel music enthusiasts that will attend this year,” states NCGCC President Dr. Marabeth E. Gentry. The NCGCC holds their week-long convention each year with the intention to foster and promote an appreciation and high standard of excellence for gospel music and gospel music performance. The organization has scheduled an impactful line-up ofdaily classes, educational workshops, lecture sessions and nightly concerts featuring Gospel music’s most notable artists including Anthony Brown and Group Therapy, Ricky Dillard, Stephen Hurd, Jonathan Nelson, Maurette Brown-Clark, Patrick Lundy and the Ministers of Music, J.J. Hairston, Jason Nelson, The Baltimore Mass Choir and more.